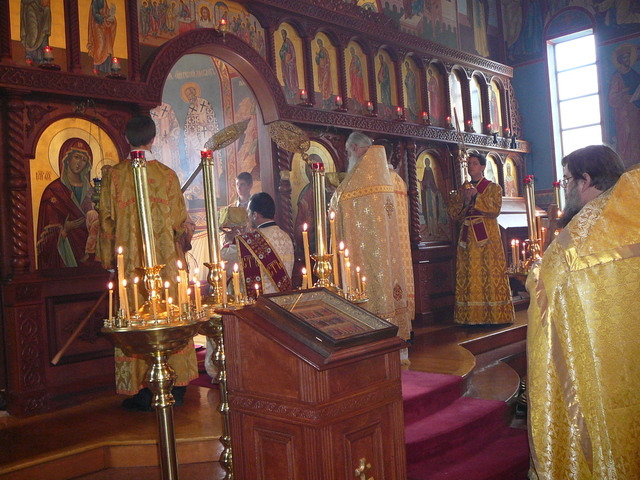 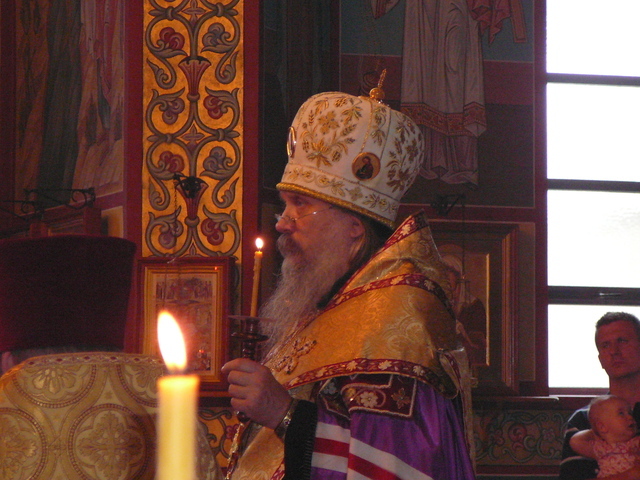 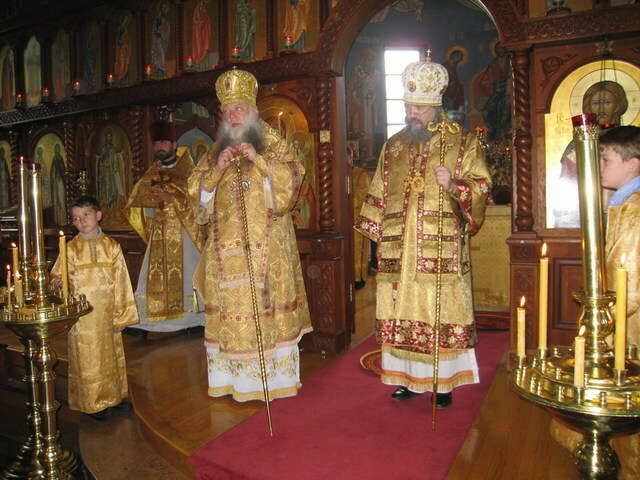 On the Feast day of the appearance of the Smolensk Icon of the Mother of God "Hodegitria', His Grace, Bishop John of Caracas, Administrator of the Diocese of South America of the Russian Church Abroad, led the Divine Services at St. Sergius Cathedral in Cleveland, Ohio. 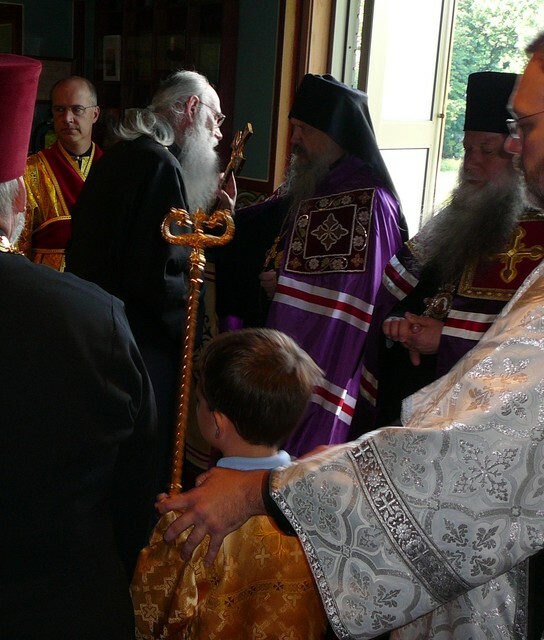 Bishop John was joined by the Rector of the Cathedral, His Grace, Bishop Peter of Cleveland, the Dean of the Cathedral, Priest Ilia Marzev, and Archpriest Peter Selenoi of the Cathedral. 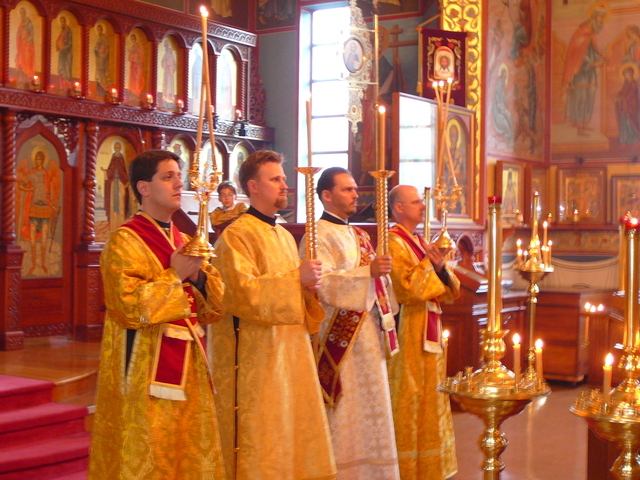 Also serving were Fr. 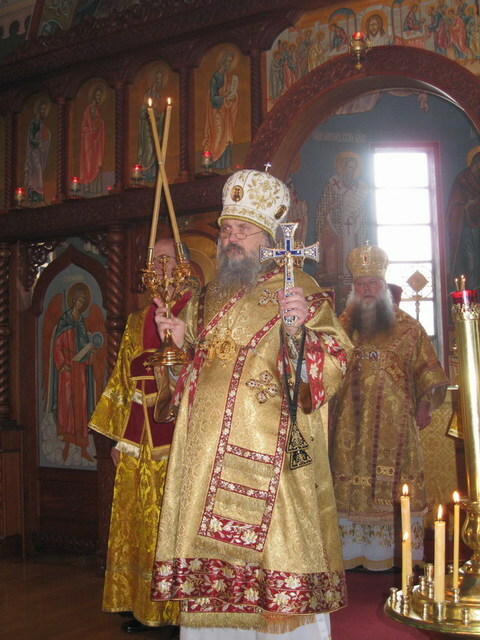 Martin Swanson of St. 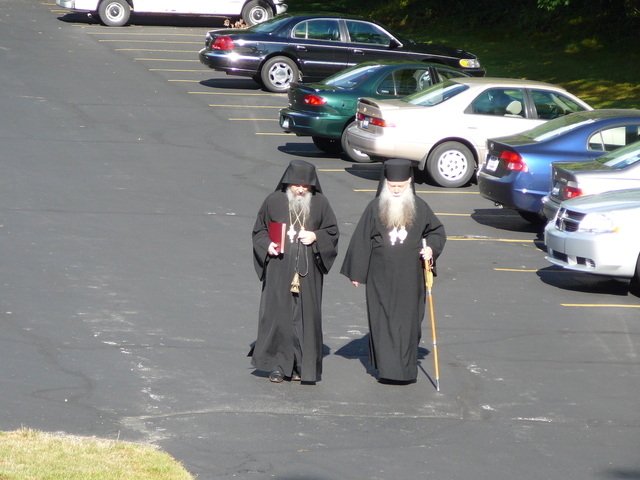 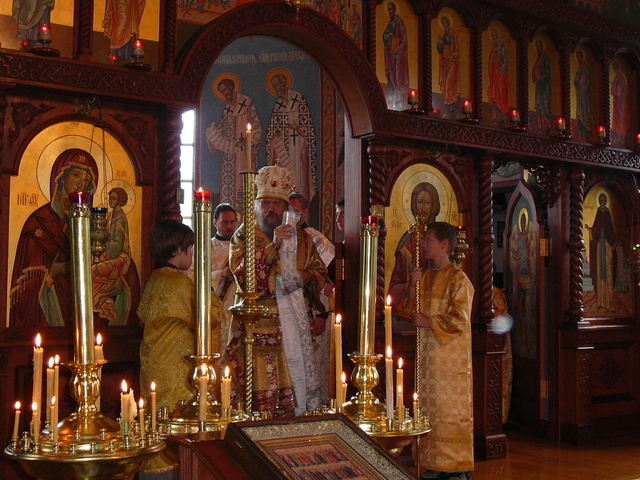 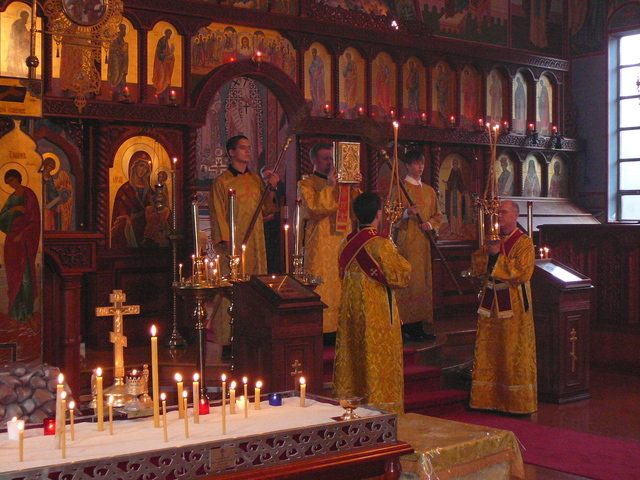 Basil's Church (St. Louis, MO), Fr. 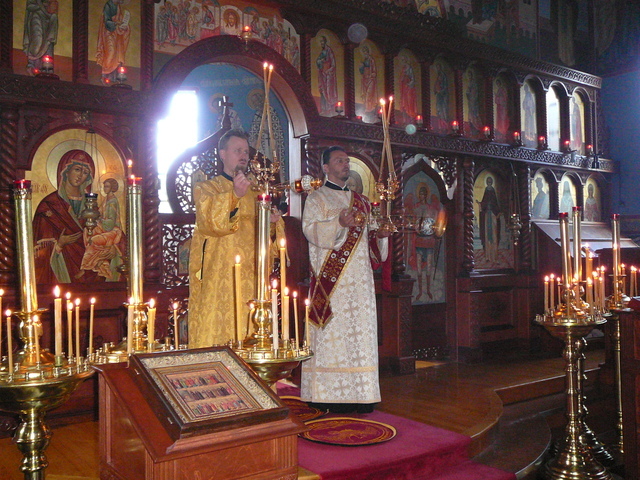 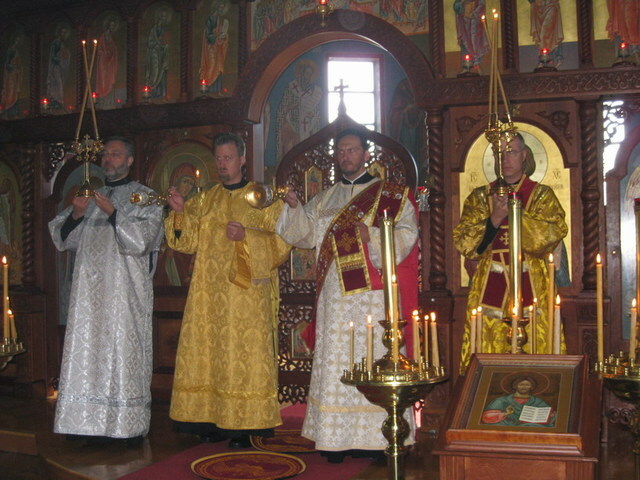 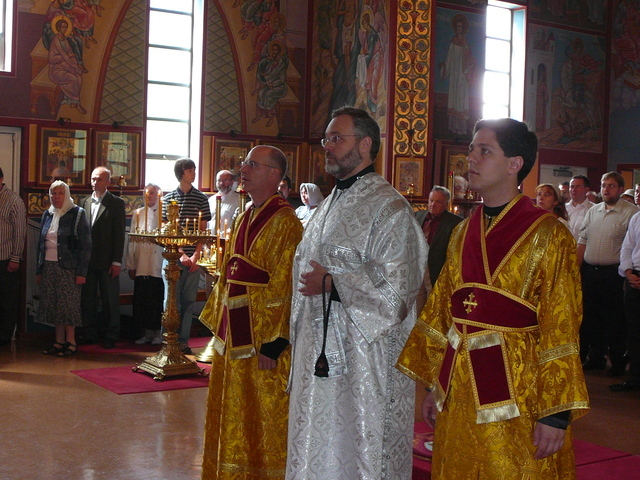 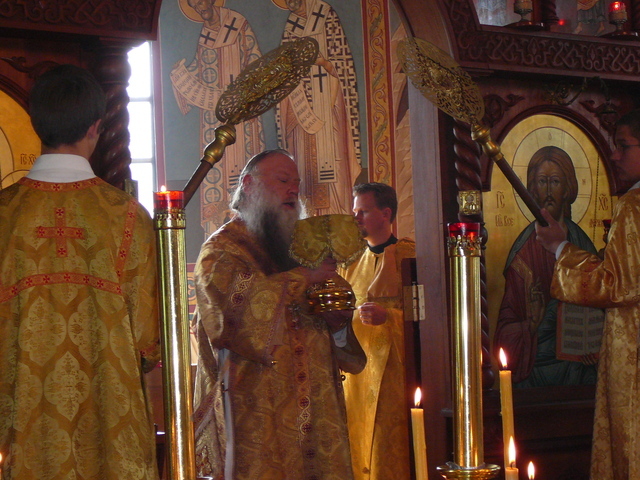 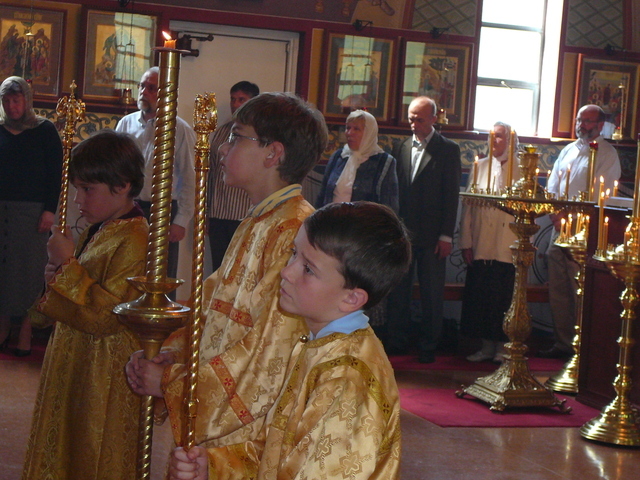 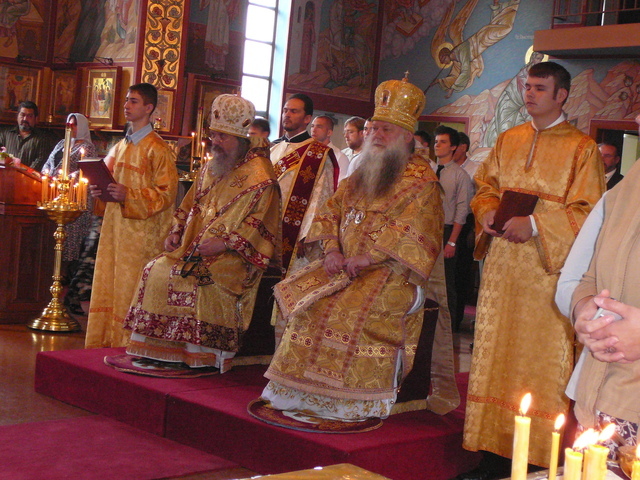 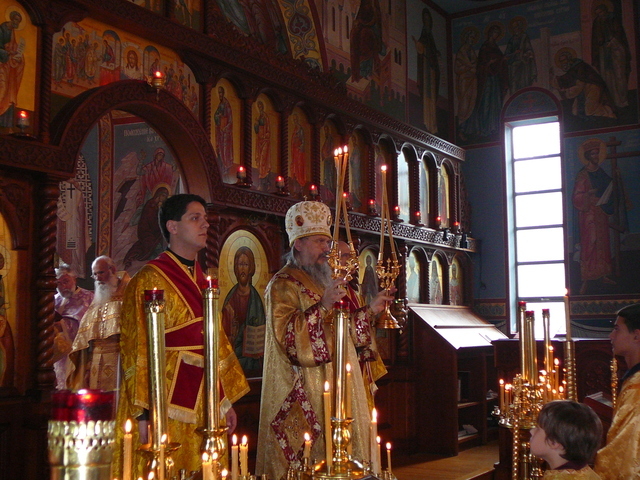 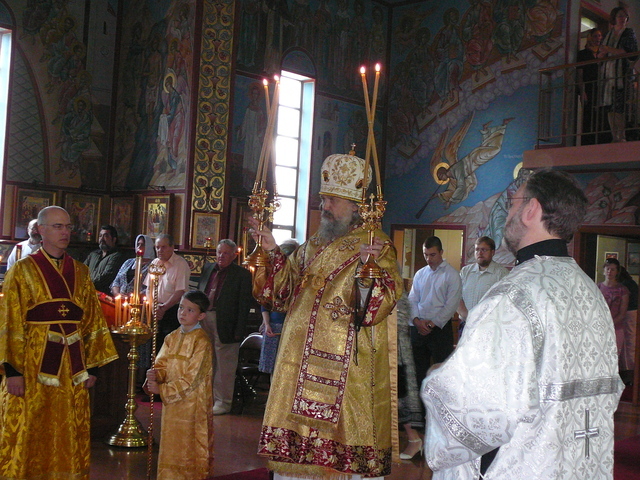 Michael Carney (Lake Odessa, MI), Protodeacon Vadim Gan and Deacon John Feloniuk. 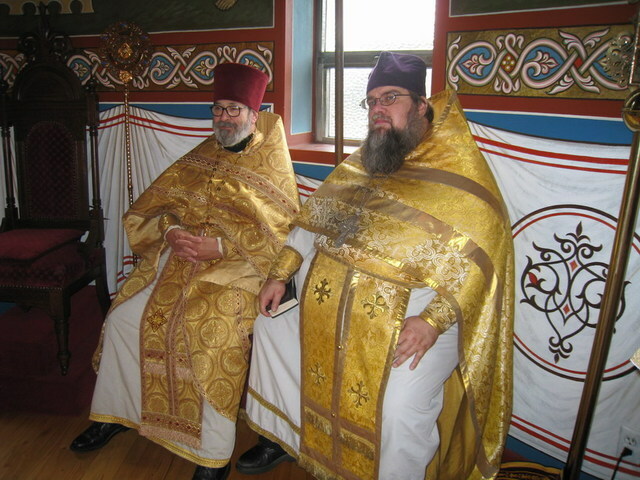 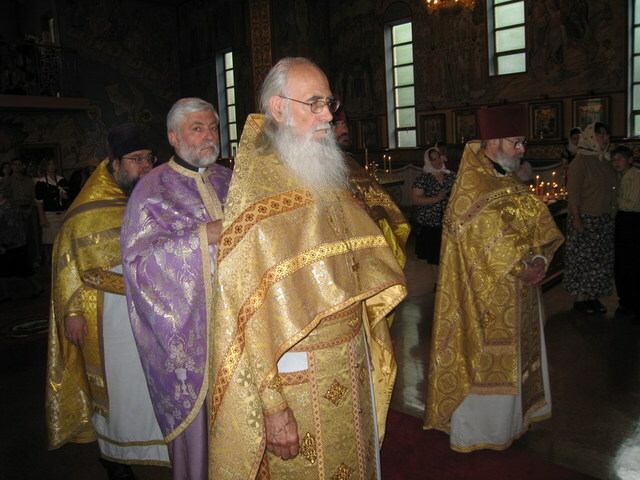 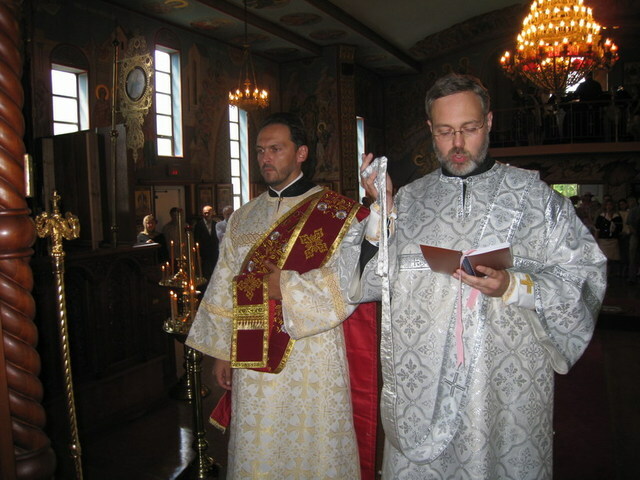 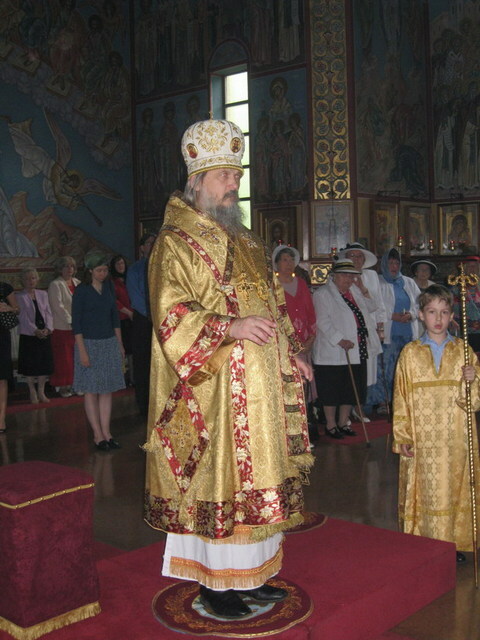 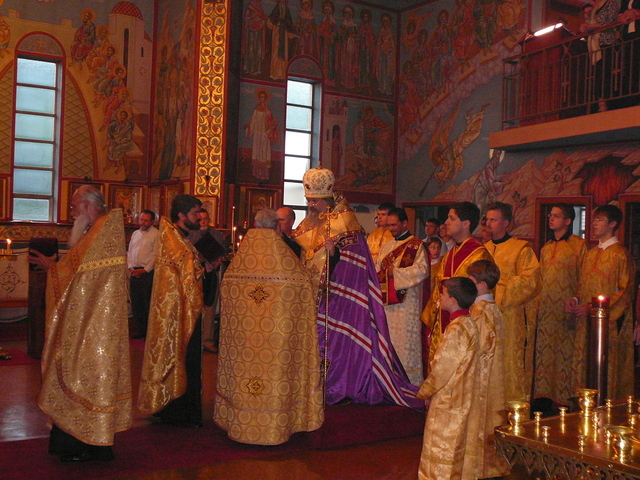 At the appropriate place in the Divine Liturgy, Bishop John ordained Subdeacon Seraphim Wing to the Deaconate.